Mama Strut Sizing Information. 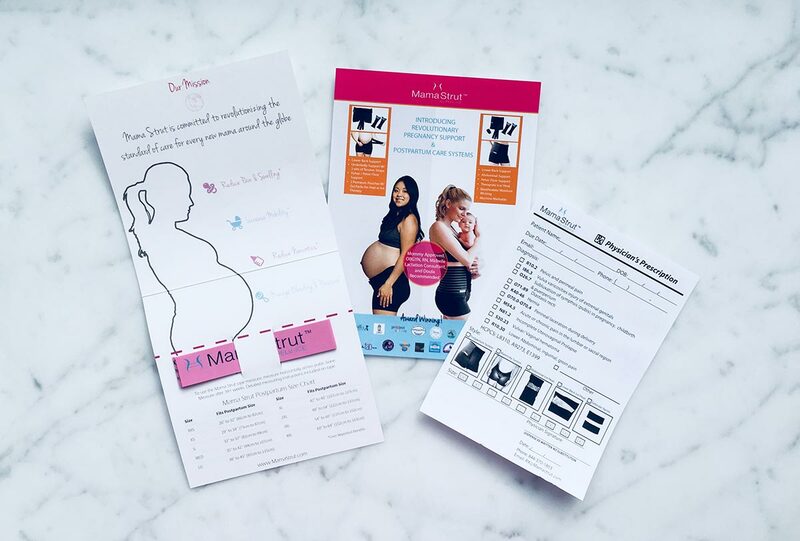 Mama Strut Postpartum Care System is sized to fit your postpartum body and has over 6″ of adjust-ability to shrink with you as you heal. Do not order based on your pre-pregnancy size as your Mama Strut may not fit. The best way to ensure you get the right fit is by measuring and referencing our sizing guide. When sizing your Mama Strut we recommend that you measure under your belly, around the top of your hips. Based on your measurements, the below size guide should be referenced when placing your order. During pregnancy system: consider allowing room for growth. Postpartum system: consider allowing room for swelling and shrinking. If you have multiples or have gained more than 25-35 lbs. during pregnancy, you may want to go up a size. Sally is 36 weeks pregnant and Sally’s hips (at the top of her pubic bone, as depicted in the image above) she measures 36″. Pre-pregnancy, Sally wore a size 4-6 pants and stayed within the generally recommended 25-35 lb. weight gain during pregnancy. Sally buys a Mama Strut size Medium.